Universal Studios, which used to be Southern California’s least interesting theme park until it added The Wizarding World of Harry Potter, has just added another major draw. The park just announced that it is devoting precious space to a permanent Walking Dead attraction. Usually part of the park’s seasonal “Halloween Horror Nights,” the Walking Dead maze is going to be suped-up for its upgraded permanent resident status. The new version of the maze will feature people in “authentic” zombie make-up, animatronic walkers, much more detailed sets and costumes, and replicas of props from the show. 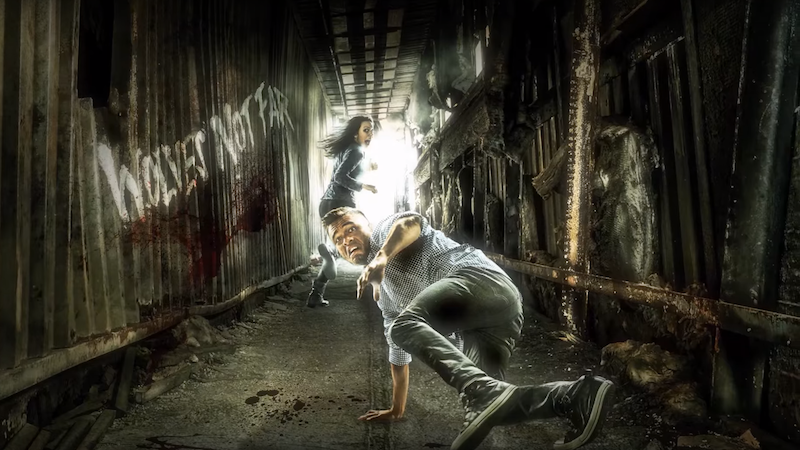 In order to make it all as show-realistic as possible, Walking Dead executive producer Greg Nicotero and his effects group, KNB Efx, will be working with the park on the attraction. So now the same park which houses Butterbeer and Hippogriffs will also allow you to flee for life inside a maze filled with zombies. Best of luck to you all.